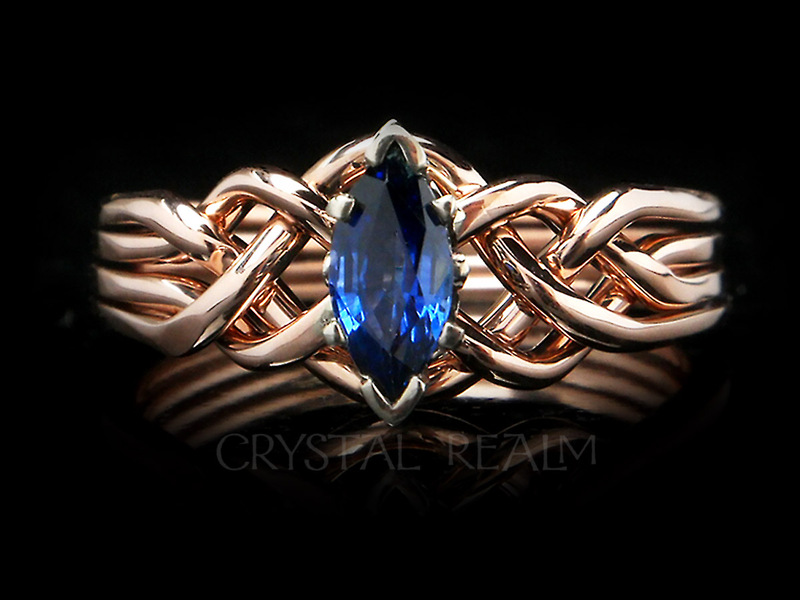 Picture perfect is our marquise sapphire puzzle ring with diamond accents, here shown with an open weave. 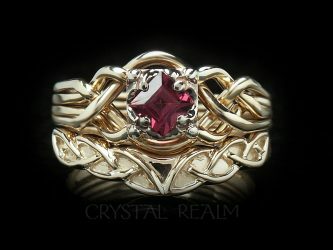 Yes, this is a genuine puzzle ring that you will enjoy assembling, while impressing your friends with both the uniqueness of your ring and your skill in putting it together. 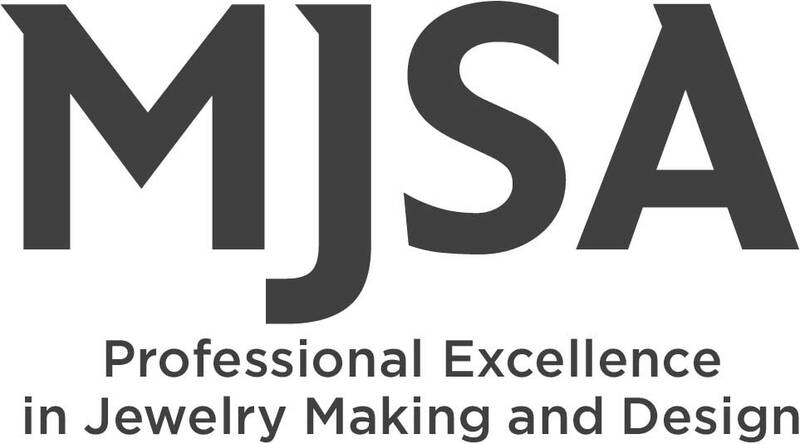 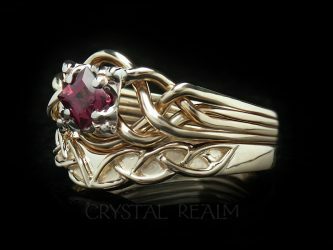 Learn to assemble your ring by using our video, animated, and written instructions under a link below on this page. 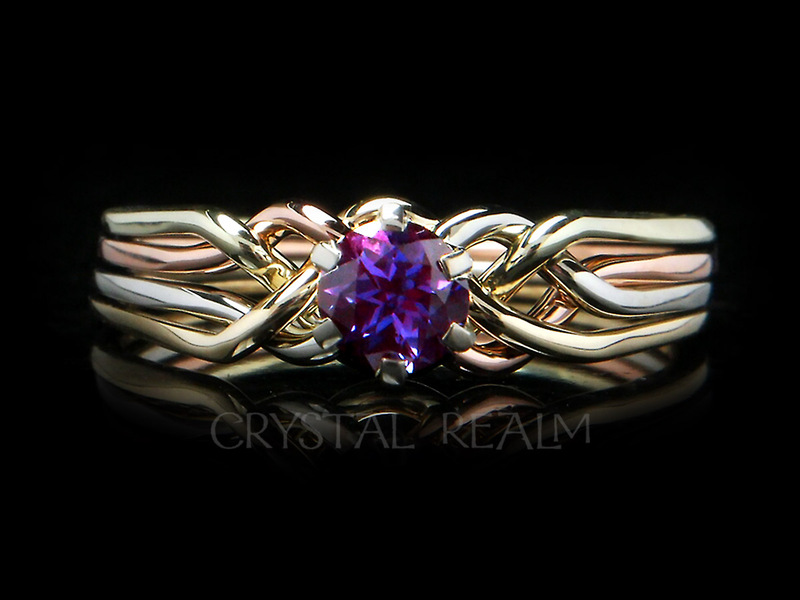 Your puzzle ring will be hand-woven, in contrast to the majority of puzzle rings available today. 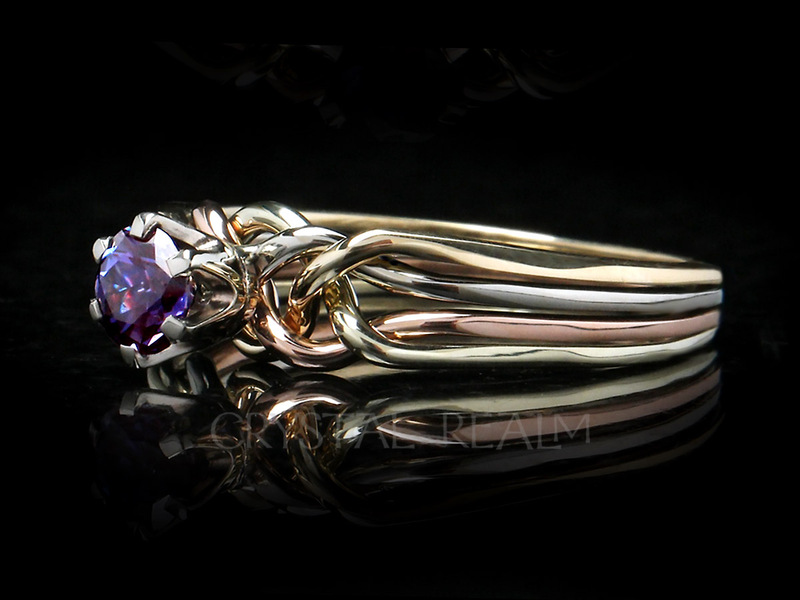 Our brilliant puzzle ring artist will weave your ring for the very stones to be placed on your ring, so it will be a true, one-off original. 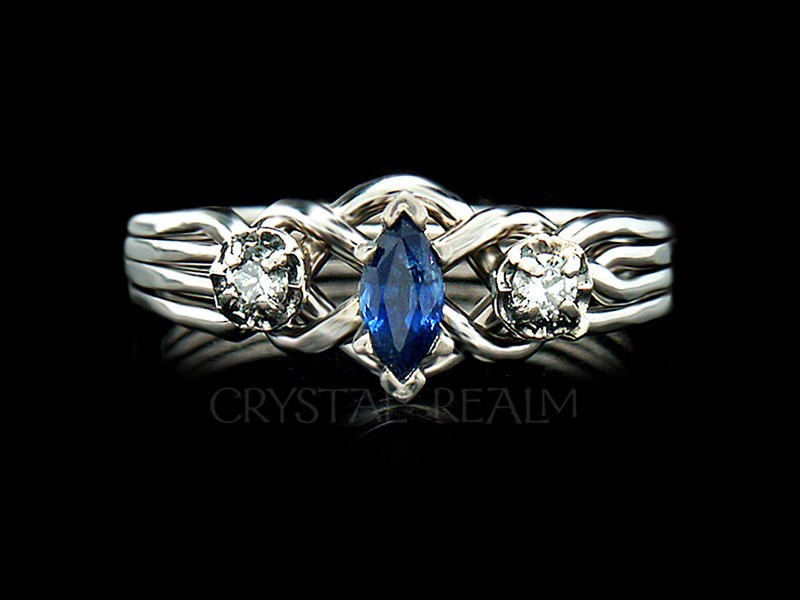 Your options: The base price on this page is for this ring in palladium with a 1/3CT genuine blue sapphire, shown. 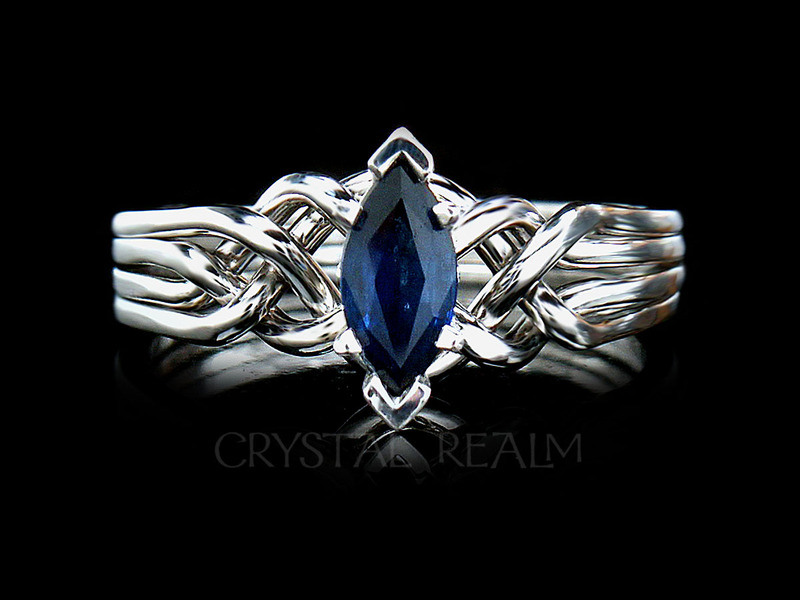 Please refer to our drop-down list, below, to see add-on prices for different sizes of sapphires. 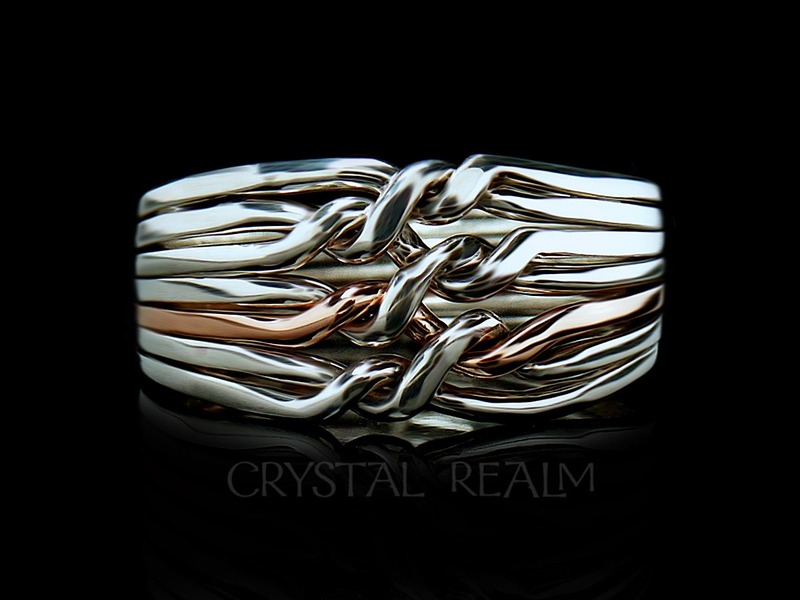 Available in sizes whole, half, and quarter sizes 3 to 9.5. 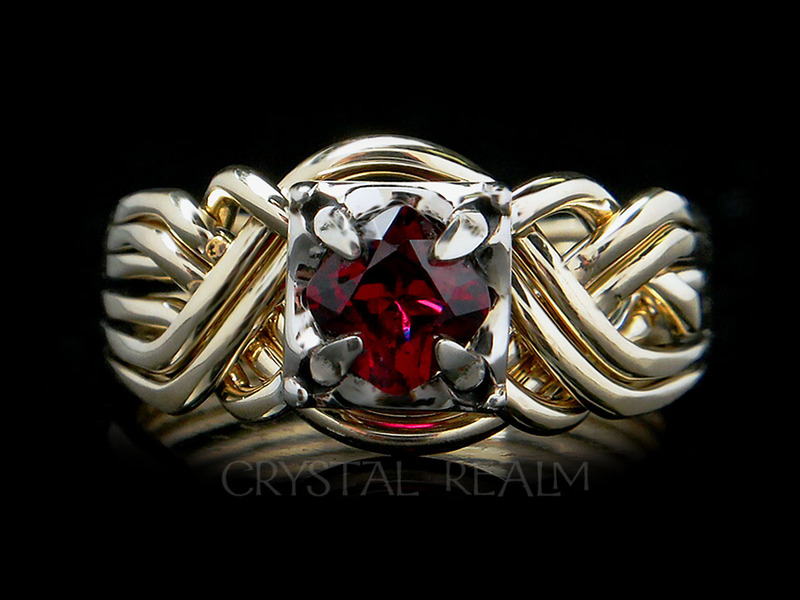 Other sizes are available upon request. 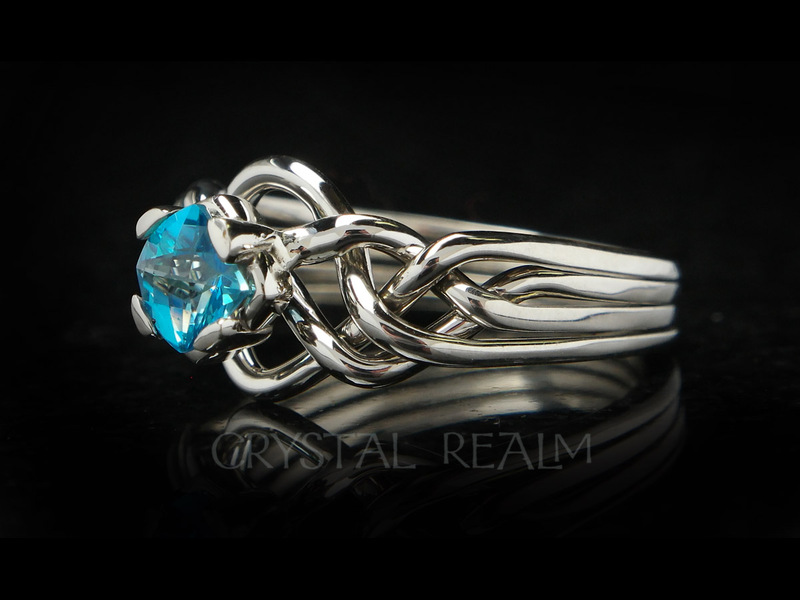 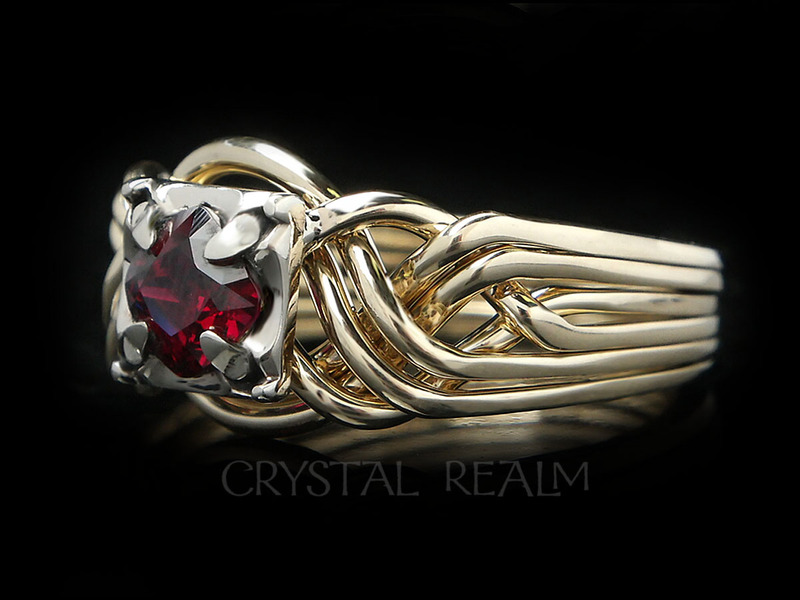 The ring on this page is an open weave and is a good example of how the weave of each ring is proportioned to the stone size. 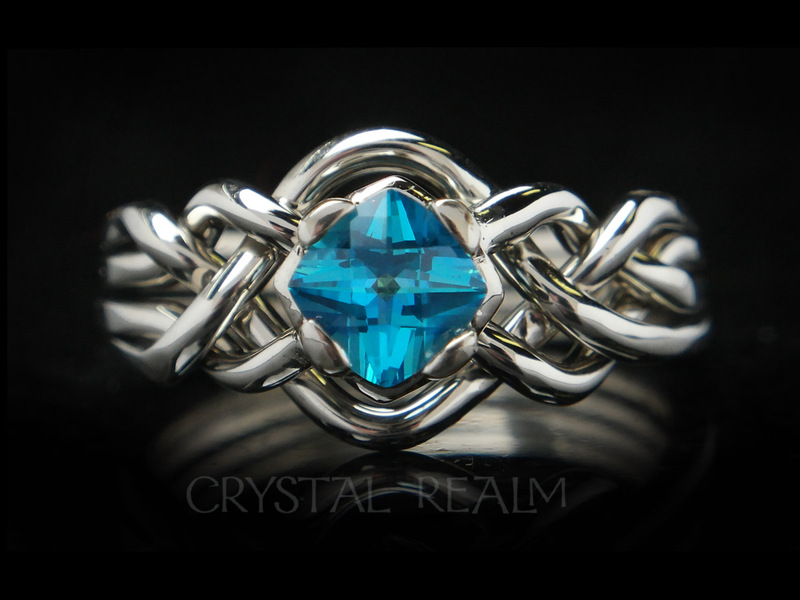 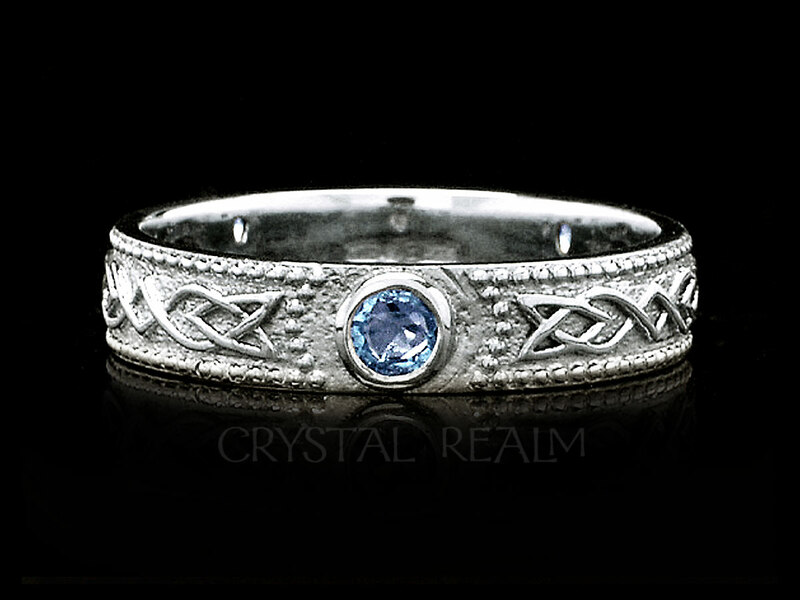 Since this ring has a 1/3CT center stone, the weave looks less open than it would on a ring with a larger stone. 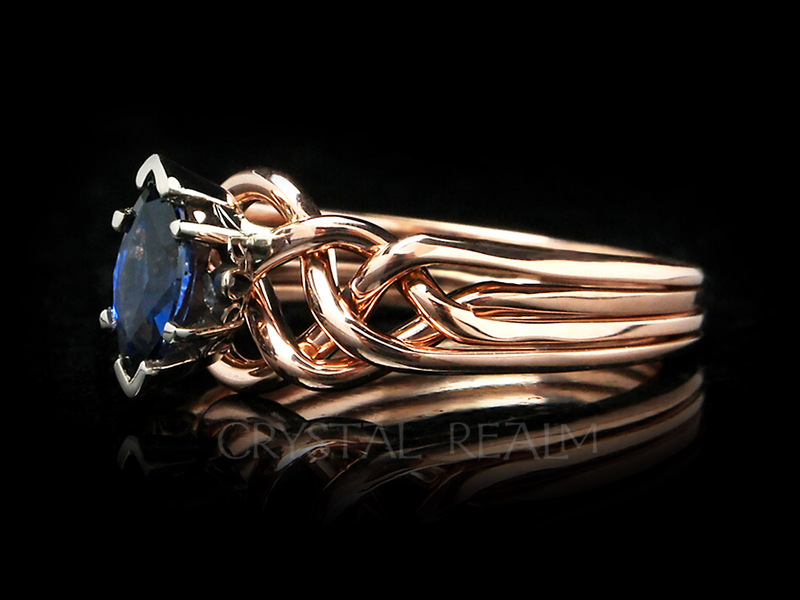 The marquise royale (meaning the ring has side stones) sapphire puzzle ring is artisan-crafted in the U.S. exclusively for Crystal Realm.